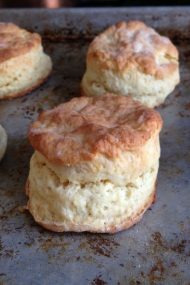 I should be sleeping right now, but I had some biscuits this morning and wanted to share them with you before they’re all gone. 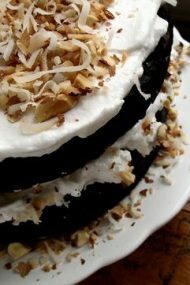 Actually, I’ve eaten them a lot since discovering the best recipe ever last year. I also got a great recipe from Elizabeth, but they call for a flour only available down south. Speaking of which, I hope my dear friend brings me some White Lilly when she visits NYC this August. After making them a few dozen times, my suggestion is to keep the buttermilk nearby because I always need a splash more than the specified 3/4 cup. Perhaps it’s the excessive heat of my kitchen which rests just above the boiler room. I don’t let this stop me from making them, even in the dead of summer. And start checking them around 12 minutes, because 15 to 18 minutes for 2-inch rounds will leave you with nearly burnt biscuits. Keeping home jam in the house doesn’t help the situation. It becomes a case of the chicken and the egg. What came first to destroy my waistline? It is indeed a symbiotic relationship as one twitter pal said. 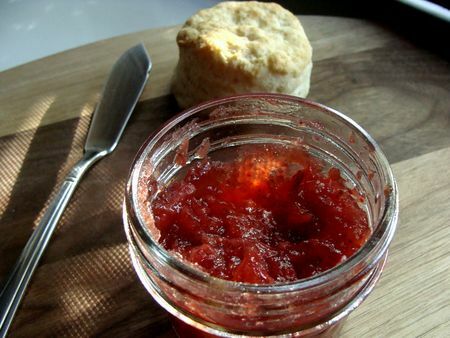 On that note, I’d like to share my recipe for a very quick and easy jam. I’m talking maybe 15 minutes plus thickening time. Tack on ten more if you plan on canning it too, but that’s still under 30 minutes and you can pronounce all the ingredients in it. I also love that it’s low in sugar, and captures the just-picked flavor of in-season strawberries. This and some hot biscuits will get me through the winter months. 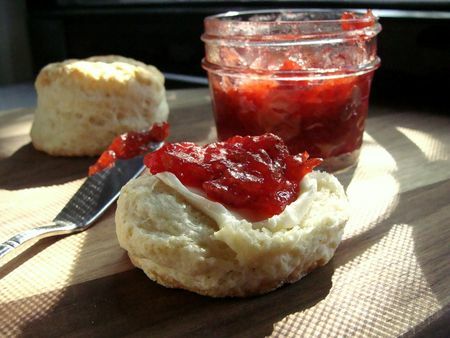 I’ve made jam on the stove top but nothing beats the ease and speed of using the microwave. My microwave is 1000 watts, so keep in mind that cooking times will vary for models with lower or higher power. Pomona’s Universal Pectin can be found in healthfood markets and larger grocery stores like Whole Foods. In a large glass bowl, microwave-safe bowl, mash berries to desired consistency depending on if you like a smooth or thick and chunky jam. A potato masher does the job perfectly. Stir in the calcium water. Cook on HIGH in microwave until berries are almost boiling, about 5 minutes. Meanwhile, whisk together the sugar and pectin. Stir the sugar-pectin mixture into the boiling berries mixture. There may be a few white clumps, and that’s okay. Cook on high for 3 more minutes, until thick and bubbly. Transfer to a container, let cool and refrigerate for up to three weeks, or process in a hot water bath using sterilized canning jars. Lovely! My brother went to college in North Carolina, and I would always look for excuses to visit him so I could eat lots of biscuits. Pathetic? Yes, but I’m not ashamed. 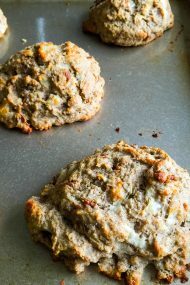 I will need to get my hands on some White Lily flour and make them for myself! 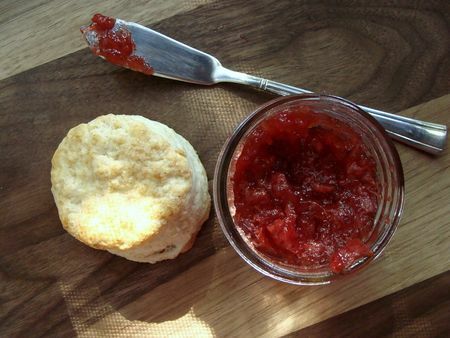 I wish I had one of those strawberry jam biscuits for breakfast in the morning. They look great! I now live in California and pay family the cost of shipping White Lily to me. Its worth every penny, best baking flour I know of. I made this today – so easy! 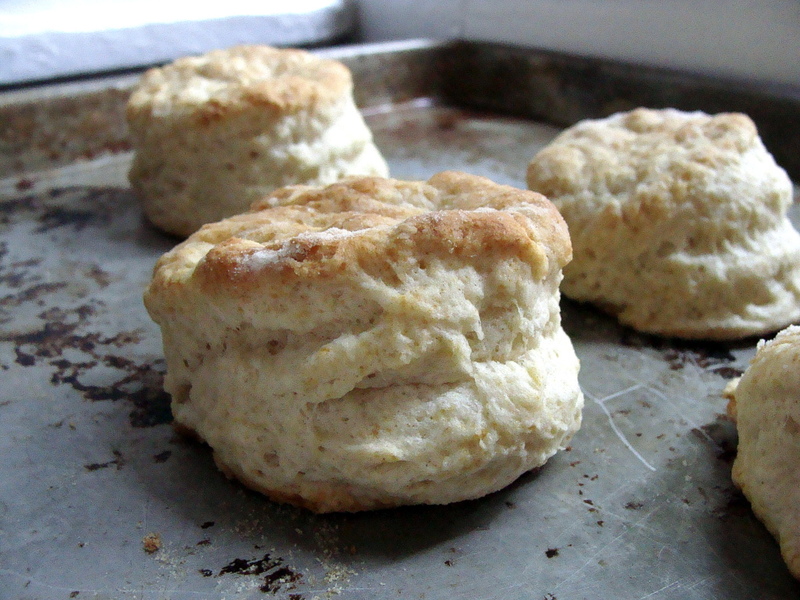 It came out perfect, and I made some delish buttermilk biscuits to go along. I came to your site from Instagram after seeing your biscuits. I was hoping to make them but the link above doesn’t seem to be working anymore.